With a mission to “reconnect people to the soul of the game” – Linksoul really had me from the start. 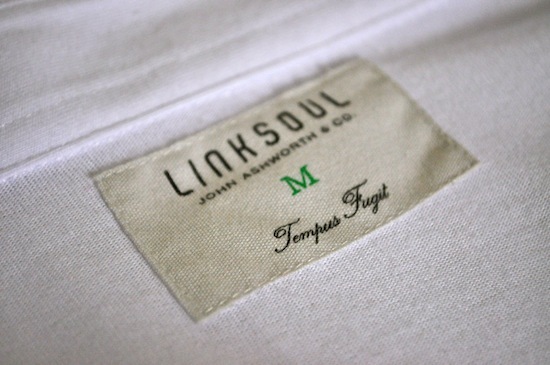 Linksoul is the latest venture from John Ashworth after selling off Ashworth Clothing and spending some time doing various work including some course design in Scotland and designing the golf line for Quiksilver. Ashworth has done a commendable job in approaching the design of the Linksoul line by putting together a solid and simple lineup that has a hint of classic flavor while staying minimalist and modern. This isn’t a line full of the latest marketing-spin in fabrics and patterns – but instead it’s appeal lies in it’s solid craftsmanship and simplicity. I was instantly impressed when I first saw the Linksoul lineup at this year’s PGA Show in Orlando. It was refreshing to see a core lineup of clothing that was absent of super-technical construction and full of life with straight-forward colors and styling. 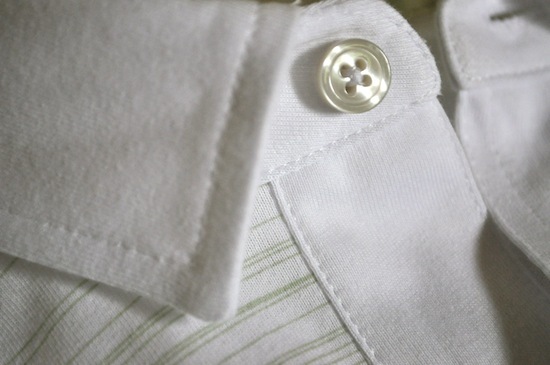 The majority of the spring shirt line is grounded in high-quality cotton with the occasional blend of polyester. The shirt that I reviewed was a blend of 70% cotton and 30% polyester. 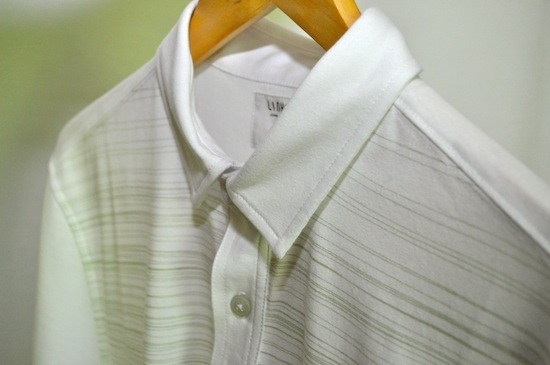 While this is a golf shirt – it is versatile enough to be easily put into the closet as a great casual shirt for daily wear. 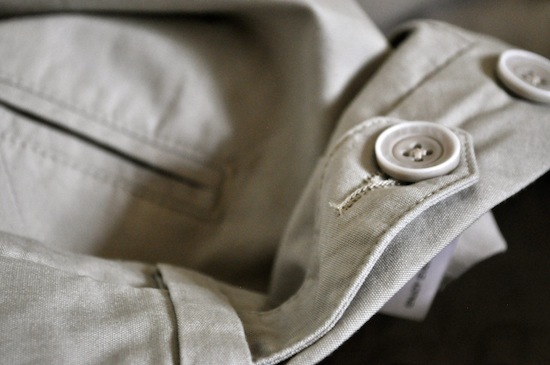 The detailing of the shirt is superb and the feel is even better. 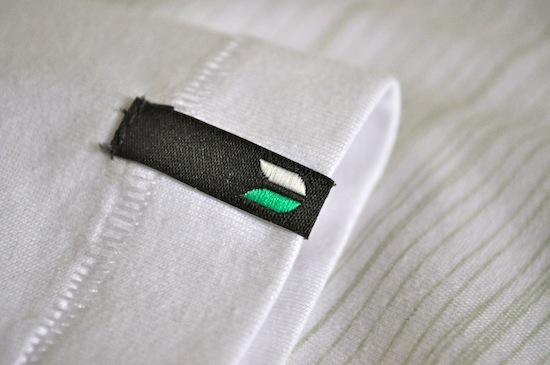 The front panel of the shirt has thin horizontal lines in a khaki-like color (kush) and the shirt is extremely comfortable and has a nice modern fit. While the 70/30 blend won’t wick as strong as the pure performance shirts from other manufacturers – the versatility to go from daily wear straight to the course is a great advantage. I felt at home in this shirt everywhere from work to my local club. 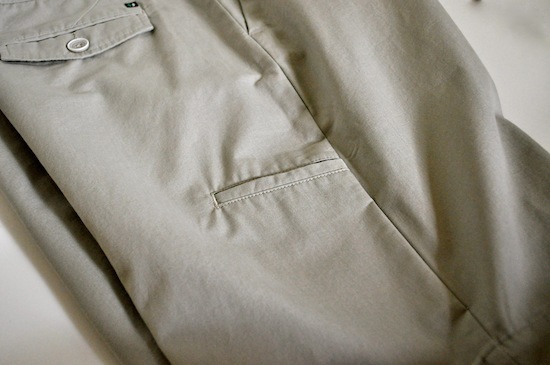 While it might seem that a predominantly white shirt made of mostly cotton would be trouble for the course – I found the exact opposite. 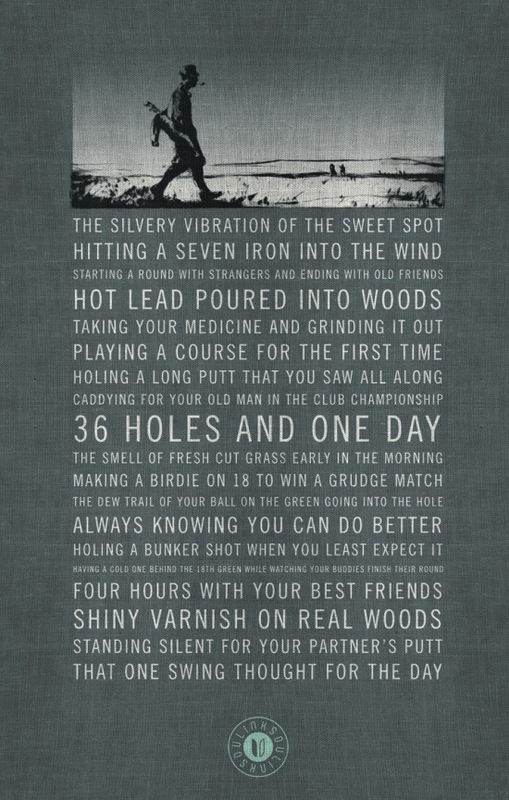 Ashworth knows what he’s doing with the materials and the shirts perform exceptionally well on the course. I was amazed that the shirt had the ability to keep sweat from gathering (and I sweat a ton while golfing) even while walking 36 holes in typical North Carolina weather (high 80’s and heavy humidity). 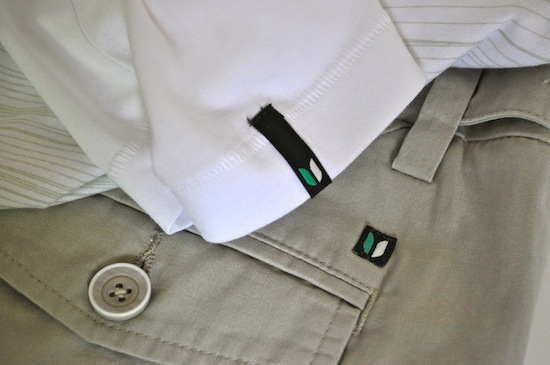 The shorts that I reviewed were 100% cotton and performed every bit as well as the shirt. The styling is excellent and the shorts are at home in just about any scenario from running errands to playing 36. I really appreciated the attention to detail in the shorts. 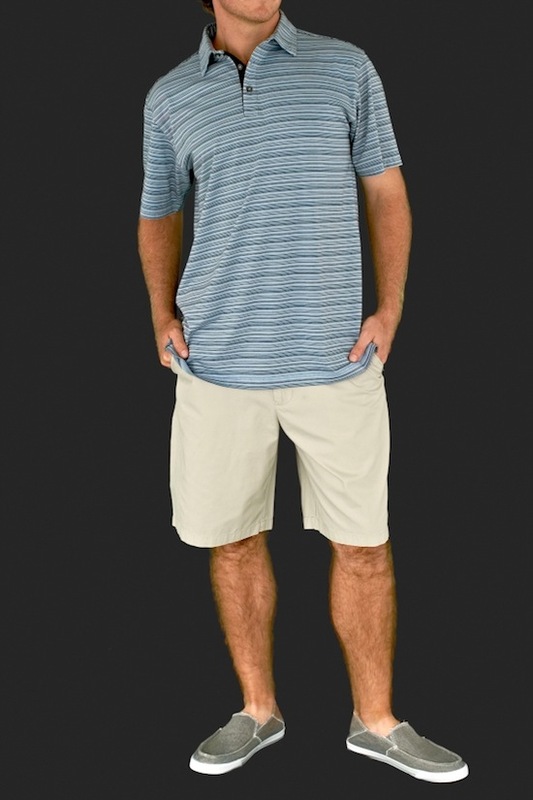 The shorts have a nice all-around fit and they are perfect for golf. 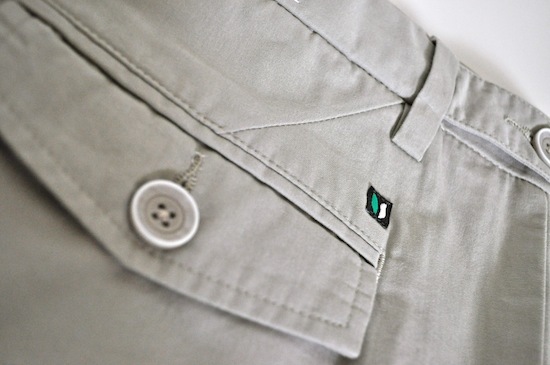 The back of the shorts have one pocket with a flap to keep a wallet in place and one pocket without a flap that seems to fit a yardage book perfectly. 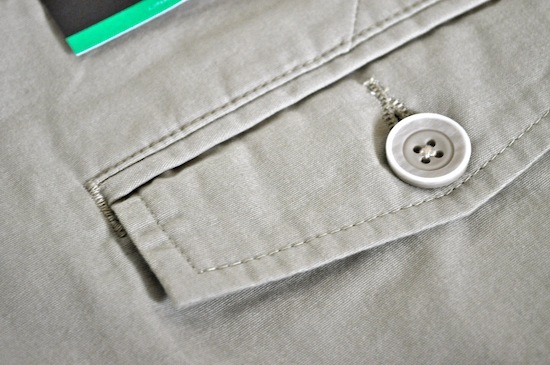 The shorts also have a small side pocket that is great for keeping your ball easily accessible between holes and for holding other common items like a divot tool and a few tees. Everything from the shirts and shorts to the other pieces in the Spring line are all well-crafted and reasonably priced. Many of the shirts are no-iron pieces and the colors and styling can be easily mixed and matched with just about everything that I have in my closet. 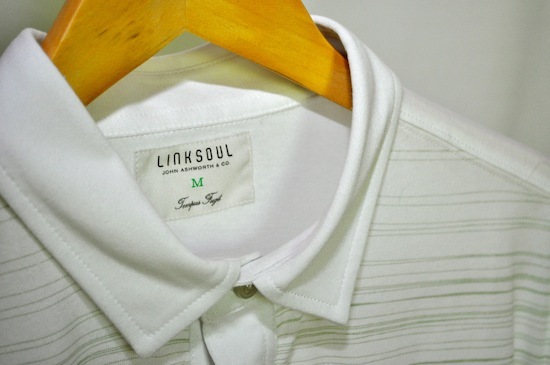 The simple styling, materials, and colors all make for a great Spring line from Linksoul. It’s great to see a company with a respect for design, art, and tradition make it’s way into the crowded golf clothing market. I have no doubt that Linksoul is here to stay and we’ll be hearing quite a bit about their clothing and approach for quite some time to come. 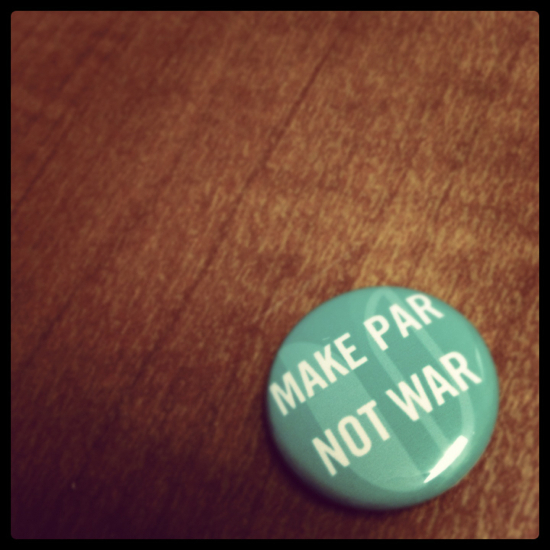 Linksoul is also helping sponsor the Hundred Hole Hike event being put on by OneDivot. It’s great to see another company that has a great philosophy and respect for tradition while still progressing the industry and offering up great products. If you’re interested in seeing more pictures of the Linksoul items that were reviewed, you can check out the Linksoul Spring Photo Album on our Facebook Page.